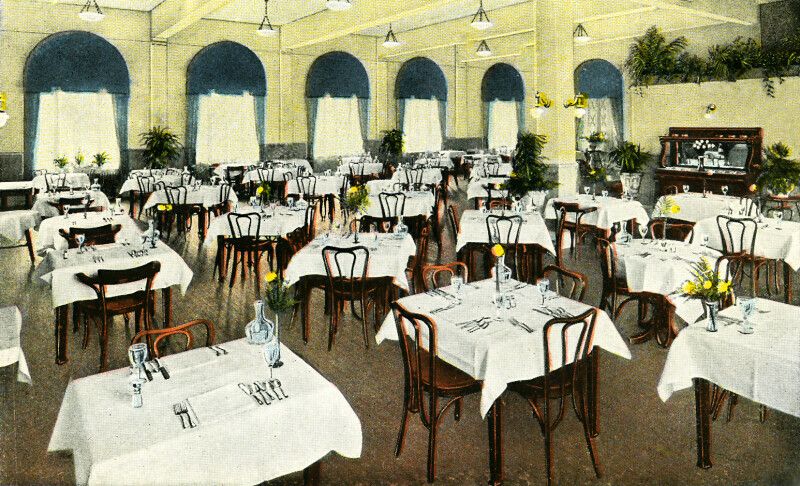 This image shows the dining room of the Hillsboro Hotel. The room is filled with square tables, each with a white tablecloth. Each table has a single, stemmed flower in a glass vase. Lights hang from the ceiling, and from the one visible pillar.